When the clients bought this property on the Marina the kitchen was small and dated and they wanted much more work surface and storage. 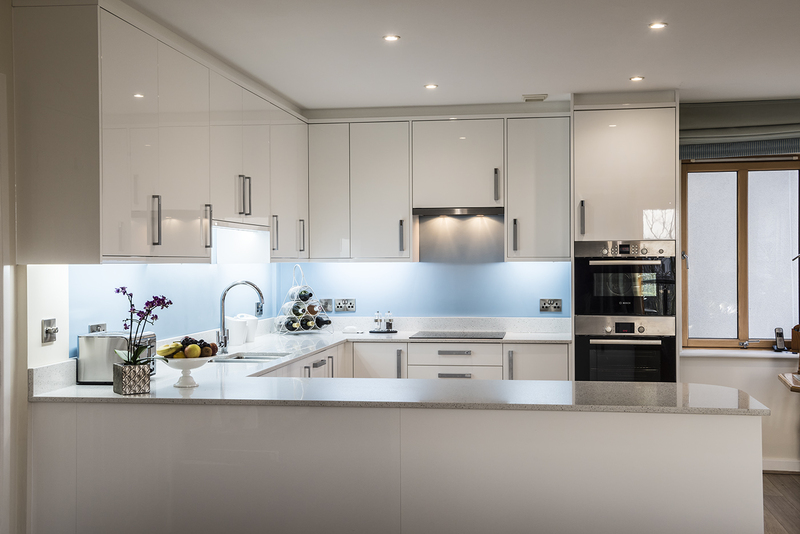 The team at Portishead Kitchens doubled the amount of both to create a beautiful space that works so much better. 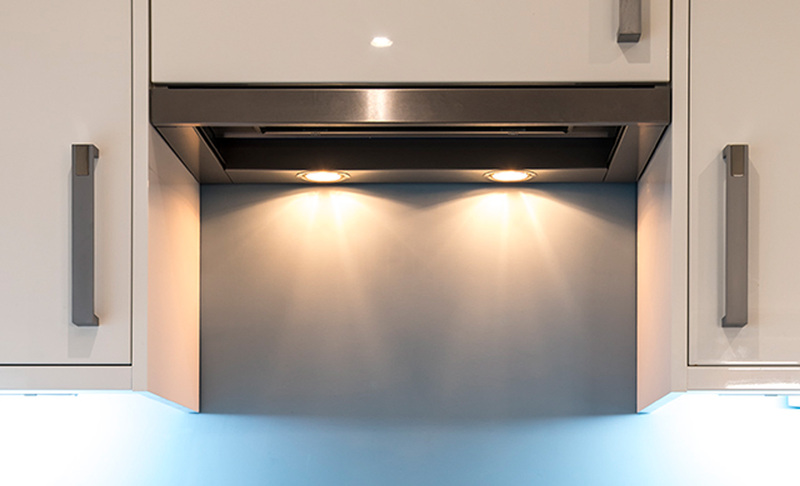 White Zola high gloss doors were chosen with White Almond quartz to add a little sparkle. The Zola door has a superior lacquered finish. Hettich designer handles compliment the door. 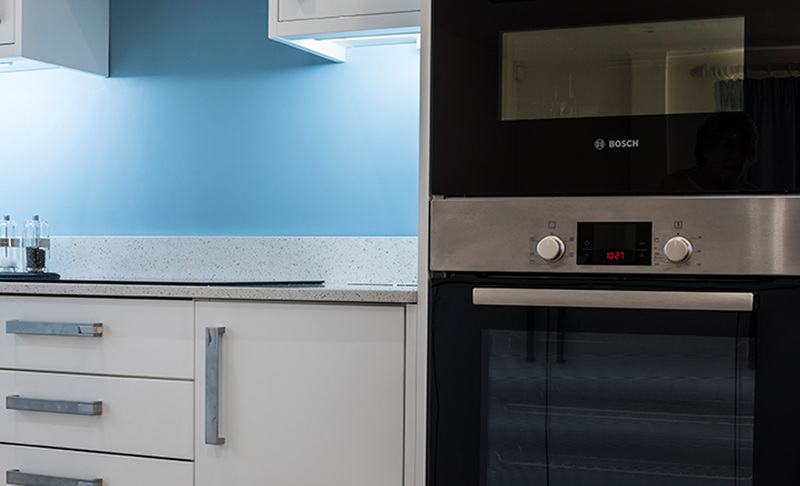 Portishead Kitchens did a total kitchen refurbishment, additional utility room and main bedroom wardrobes. The customer service, quality and value has been 5* – Thank you for all the wonderful work you have done for us It has been an absolute pleasure and all the trades people you employ are likewise excellent.